Dr. Allen Dennis was born June 15, 1943, at 10 PM at Epperson Clinic in Athens, Tennessee, to the late Neil Dennis and the late Bonnie Nipper Dennis. He joined his Daddy, Mother, and infant brother David Joel in Heaven on November 5, 2018, at 2:50 PM at St. Dominic Hospital in Jackson, Mississippi. Allen was the first member of his family to graduate college, earning his Bachelor of Arts degree from Tennessee Wesleyan College in 1965. He won numerous debate and public speaking awards in college, including the Tennessee State Extemporaneous Speaking Championship in 1965. He was a member of Phi Alpha Theta, Pi Gamma Mu, and Omicron Delta Kappa. He served as the sports editor for the Daily Post-Athenian in Athens during that time. It was covering a baseball game that he met his wife Linda. They married July 17, 1965, at First Baptist Church in Athens, TN. They moved to Starkville, Mississippi, where Allen received his Master of Arts degree in history in August 1966. They moved to Cleveland, Mississippi, in 1968 where he joined the faculty at Delta State University as an instructor. He earned his Ph.D. in history from Mississippi State University in August 1970. At DSU, he became an assistant professor, then professor, then became chair of the Department of History in July 1993. He served as chair of the department at DSU until his retirement from Mississippi & subsequent move to Troy University to serve as chair of the Department of History there in 1998. His teaching career spanned forty years. He taught US History & was an expert in Civil War history. He wrote and performed Civil War period songs, and developed a very popular first-person portrayal of President Abraham Lincoln. His classes were periodically treated to him playing guitar and singing for them. He was loved by his students and this was reflected by his being nominated by them & receiving the highest faculty awards at both universities (the S. E. Kossman Outstanding Faculty Award at DSU and the Ingalls award at TU). Also at Troy, he received the Algernon Sydney Sullivan Award. During his time at Delta State, Allen enjoyed performing in chautauquas where he portrayed Jimmie Rodgers, and performed on riverboat tours on the Mississippi River. He kept the play-by-play for all Delta State home basketball games. He was present for the national championships won by the Lady Statesmen basketball teams, and wrote a song for them during their championship run in 1978 called the “Ballad of the Lady Statesmen.” He dedicated the conference room for the history department (in Bailey Hall) to the memory of his friends Dr. Sammy Cranford and Dr. William LaForge, dubbing it the Cranford-LaForge Conference Room. He periodically served as an interim minister for the Church of Christ, preached for area churches, and directed music at various churches. 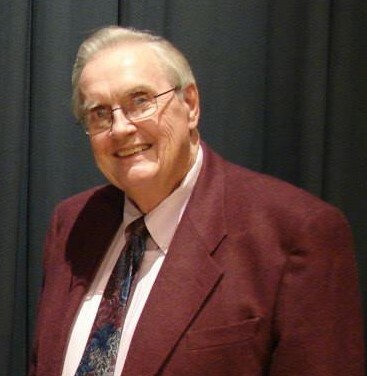 He was a former member of the Mississippi Humanities Council Speakers Bureau, former member of the Bolivar County Community Action Program, and former president of the Cleveland Lions Club. He was a member of the Southern Historical Association and a longtime dedicated member of the Mississippi Historical Society (MHS), serving as president from 1997-98 and as a member of the Society’s board of directors. He served as news and notes editor, book review editor, bibliographical editor, and assistant editor of The Journal of Mississippi History (published by the Mississippi Department of Archives & History and MHS). He compiled an invaluable index for the first forty volumes of The Journal of Mississippi History, personally reading thousands of pages and thereby producing a two-volume index that bears the stamp of one person. He authored and edited several books, including Kemper County Rebel: The Civil War Diary of Robert Masten Holmes, C.S.A. ; James Blackwood Memories; and Southern Miscellany: Essays in Honor of Glover Moore. He also authored several dozen book reviews & scholarly articles, including an article on the Battle of Tupelo that was published in The Conservation Fund's The Civil War Battlefield Guide. He moved to Brandon, Mississippi, in August 2017 to be close to his daughter, son-in-law, and grandson. He is survived by his daughter Farrah, her husband Tony Cox, and their son David. He is also survived by his ex-wife Linda Dennis. He was an extremely proud Daddy and GrandDaddy. Graveside services will begin at 1:00 PM on Monday, November 12, 2018, at Crestview Memorial Gardens in Brandon, MS. A memorial service will follow at 2:00 PM in the Fellowship Hall at Meadow Grove Baptist Church, also in Brandon. Friends are invited to come share their favorite memories of Allen. Pallbearers are Jody Correro, Lynn Buford, Bo Morgan, Grant Fox, Nick Pouncey, Brad Thompson, Tim Earley, and Lee Garland. Honorary pallbearers are Elbert Hilliard, Jerry Dallas, Curt Lamar, Kent Wyatt, Mike Kinnison, Robert Pullen, Doc Kirby, and Charles Sallis. The family asks those attending (in person or in spirit) to wear orange in honor of Allen’s deep love for Tennessee Vols football. In lieu of flowers, the family asks memorials be made to the Dennis-Cox Baseball Award c/o DSU Foundation, P O Box 3141, Cleveland, MS 38733; or, the Dennis Family Cemetery Fund c/o Robert Dennis, 1163 Dreamfield Dr., Soddy Daisy, TN 37379.